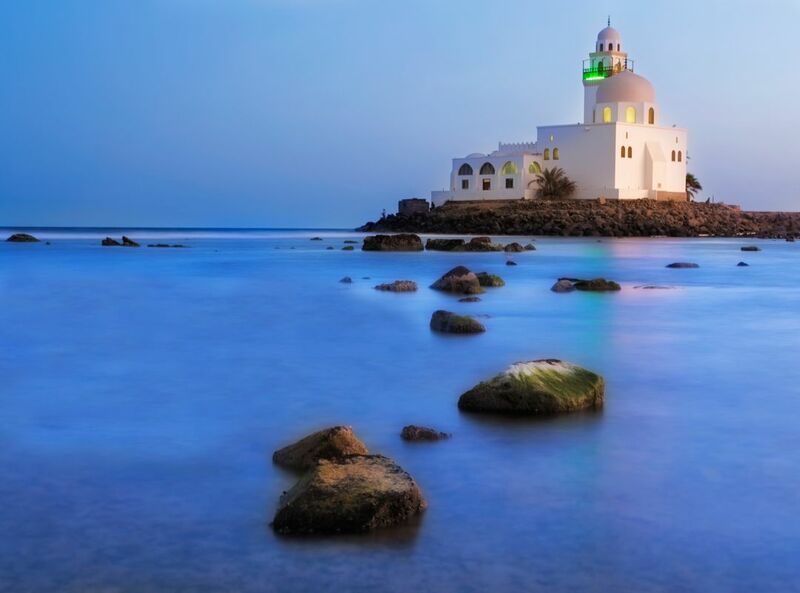 Jeddah is the best place to be in Saudi Arabia. You've got the Red Sea, the relaxed censors that allow women to go around without the veil. friendliest people. the shopping is everywhere there must be more than a thousand indoor malls. the old town is cute and authentic. i recommend it if you are coming to Saudi Arabia. جده شهری ساحلی است و یکی از مهمترین محل رفت و آمد زائر و توریست برای عربستان. این شهر دارای جاذبه های توریستی بسیاری است و مراکز خرید بسیار زیادی نیز دارد. کنسولگری کشورها در این شهر قرار دارد. the imam of this masjid named hani a refai is one of the most favorite of filipino muslim in terms of reading quran, he has a very nice voice... during prayer time especially night of ramadhan(tarawe), many of the people who join the prayer shed tears because of the voice of imam, i am myself also shed tears... i felt the softening of my heart asking forgiveness to the almighty ALLAH (GOD).